“Mc Cain/Palin: A Double-Minded Team” | "An Eclectic Array of Topics"
A Chimera in Genetics is a hybrid of two separate species; in politics, it is the equivalent of trying to be every man for every season. 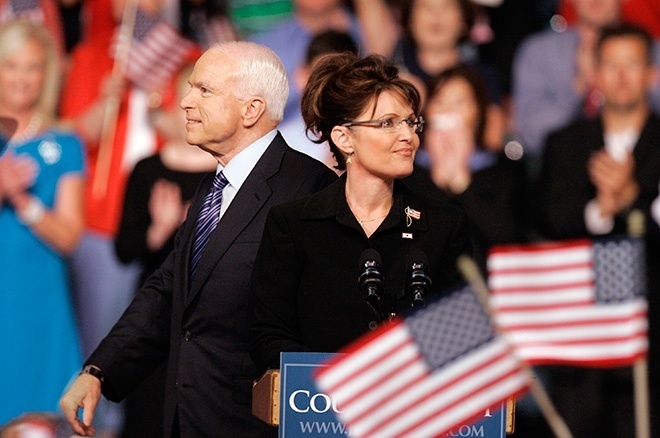 McCain/Palin is a Chimera, a unique combination of Right-Wing Conservative Ideologist “Maverick”, and “Centrist “across the aisle reaching “Maverick” or so they say. John and Sarah want you to believe that they are much like the mythical push-me pull-you creature of “Doctor Doolittle” fame. Recently John Mc Cain has attempted to divorce himself from the disastrous policies and ideologies of President G.W. Bush that he so heartily endorsed especially while campaigning for President Bush in 2004. While on one had they claim that their distributions of wealth policies (i.e. mortgage buyouts) are good common sense. They measure equivalent distributions of Barack Obama (tax cut/ tax rollback) as Socialism. Furthermore while they prostate themselves before the free market, they simultaneously argue for government regulation of corruption and greed on Wall Street. Sen. McCain and Governor Palin vilify liberals as being the bane of market growth in one breath and then claim that they work with Democrats (read Liberals) to build a better America. Lately in an effort to convince Americans not to vote for Sen.Obama they have stood logic on its head. They now claim (on “Meet The Press” Oct 26 McCain reiterated) that opponent Sen. Obama is a Herbert Hoover Protectionist (R) and a Franklin D. Roosevelt (D) like socialist. This is like arguing that Ronald Reagan also endorsed Jimmy Carter’s policies. Hoover and Roosevelt could not have been more different. Sarah Pain does not know a Socialist from a moose, but she attacks both with the same trigger finger she does while hunting. This circular reasoning is contributing to the downward intellectual spiral of those who live in Sarah Palin’s Pro-America and watch Fox News. 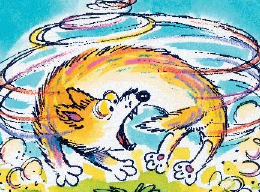 It is one thing to be an attack dog; it is another to attack while biting one’s own tail. These two candidates are not on message therefore NOT READY TO LEAD! They haven’t learned to go in the same direction yet. I hope this doesn’t mean….a split down the middle. HA!